I have a 2012 Fatbob and love it but when I saw the 2018's wow!!! I'm jealous! I'd love to get one and if I can twist my wife's arm enough it might happen. Enjoy the ride and I loved all the pix!! 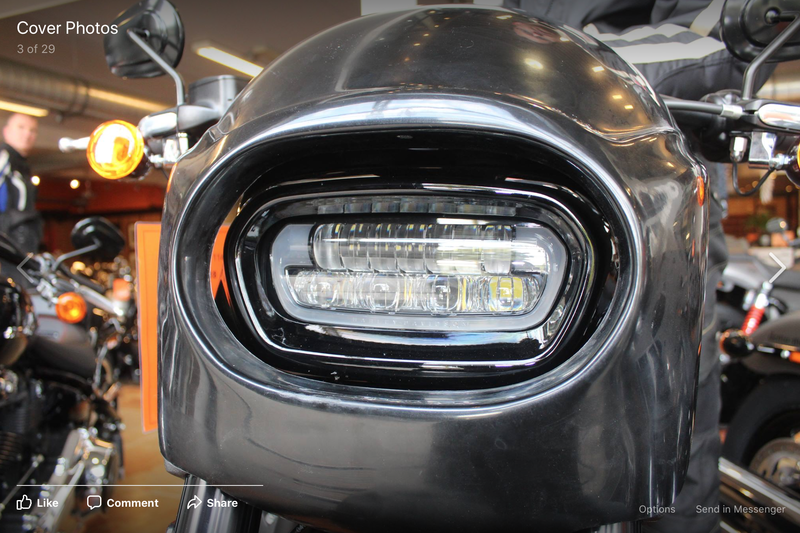 And the same fairing loosely held up against the Softail Fat Bob's LED light. You can see that it's too far forward, but the shape of the hole in the fairing fits the LED light well. Phil is currently reworking the mounting brackets to move the fairing back flush against the light. Get one! 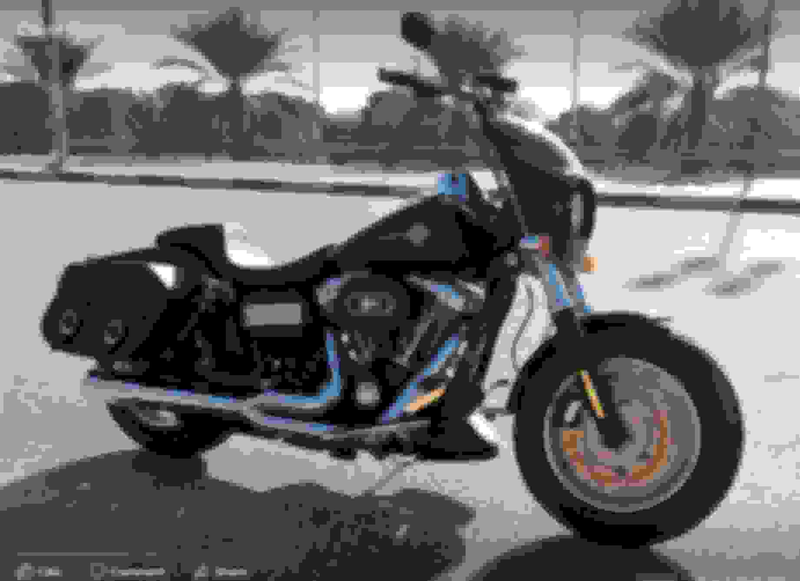 I loved my Dyna Fat Bob, but the Softail version is leaps and bounds better in every way. West Coast used to be in the middle of Glasgow, it's a great new site they have now, a brill coffee shop, and all really friendly staff. I hope they looked after you. West Coast were great - and the new shop is much better than the old one at Charing Cross or wherever it used to be! The exact same bike as yours just rolled off the Dyno with a Stage IV kit installed, Street Cannon mufflers and tuned with Mastertune2. Lots of fun to ride. What cam is in that beast?